THURSDAY, Oct. 15, 2015 (HealthDay News) -- Enterovirus D68 made headlines in 2014 when it sickened scores of kids across North America, but a new study says the aggressive virus proved no more deadly than other common cold germs. The virus was more aggressive, spreading quickly and causing understandable alarm, said Dr. Dominik Mertz, lead author of the study and an assistant professor of infectious diseases at McMaster University in Ontario, Canada. Children who came down with enterovirus D68 (EV-D68) also were more likely to have serious difficulty breathing, compared to kids who caught other viruses, Mertz and his colleagues found. But children with EV-D68 didn't have a greater risk of death than kids with other viral infections, the researchers found. Youngsters with the virus were also not significantly more likely to need admission to an intensive care unit (ICU), the study authors reported. "They came in sicker, but the disease didn't progress to a critical level more frequently than with other strains," Mertz said. "In hindsight, looking at our data, we would say that this virus seemed slightly more aggressive, but the fact is we see kids with rhinoviruses and enteroviruses needing hospitalization and needing ICU [intensive-care unit] admission every year." The findings were published Oct. 13 in the CMAJ (Canadian Medical Association Journal). The common cold is caused by rhinoviruses, and enteroviruses also cause mild cold symptoms in most infected people, according to the U.S. Centers for Disease Control and Prevention. Researchers first identified EV-D68 in 1962, but last year was the first major outbreak of the virus. Most kids were vulnerable to the bug because their immune systems had never been exposed to it, so they never had a chance to develop immunity against the bug, Mertz said. The first cases of the virus began appearing in mid-August, and the outbreak lasted through October, according to the study authors and the CDC. The CDC documented about 1,150 cases, nearly all in children. However, the agency estimates there were likely millions of mild EV-D68 infections for which people didn't seek medical care. To test whether kids with EV-D68 were worse off than kids with other viruses, Mertz and his colleagues compared 87 kids treated for EV-D68 at McMaster Children's Hospital with 87 kids who caught a rhinovirus or some other enterovirus at the same time. Kids with EV-D68 were three times more likely to suffer from shortness of breath or labored breathing than the youngsters with other viral illnesses, the researchers found. Kids with EV-D68 were also more likely to be admitted to the hospital for treatment, the study said. Children admitted to the hospital with EV-D68 were more likely to have a family history of allergies or asthma, the study found. "It's probably an interaction between the fact that if you have allergies, you have less resources when you have an infection and your airways get tighter much faster," Mertz said. "That's the usual explanation we have why asthmatic kids are more likely to end up in hospital if they get a respiratory infection." 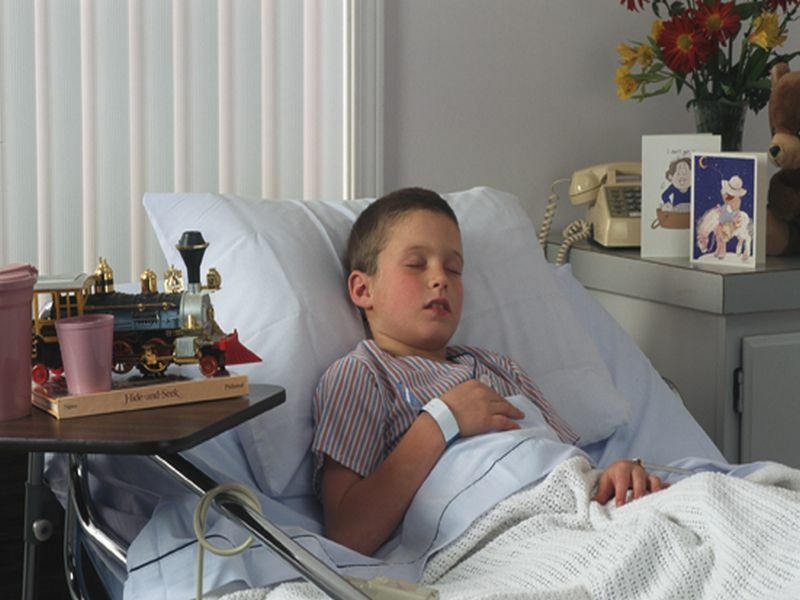 But EV-D68 patients were not admitted to pediatric ICUs more frequently than other sick kids. And, they didn't have a higher death rate, the researchers concluded. The CDC documented 12 deaths related to EV-D68. That means the virus has an estimated death rate of 1 percent, the study authors said. "When EV-D68 was capturing news headlines a year ago, there was a lot of doom and gloom," said Dr. Amesh Adalja, a senior associate at the Center for Health Security at the University of Pittsburgh Medical Center. "This study shows that when you drill down and look at the data more closely, this was not a more deadly strain of enterovirus than others." Around the same time of the EV-D68 outbreak, about 120 children in 34 states developed muscle weakness or paralysis, according to the CDC. Experts suspected these cases were linked to EV-D68 at the time because polio -- an infectious disease that can cause paralysis -- is also an enterovirus. However, the CDC said it still doesn't know what caused the recent paralysis cases. And, none of the children in Mertz's study developed paralysis or muscle weakness. The CDC noted that about two-thirds of the children who suffered paralysis or muscle weakness have reported some improvement in their symptoms. Only two have fully recovered, the CDC said.